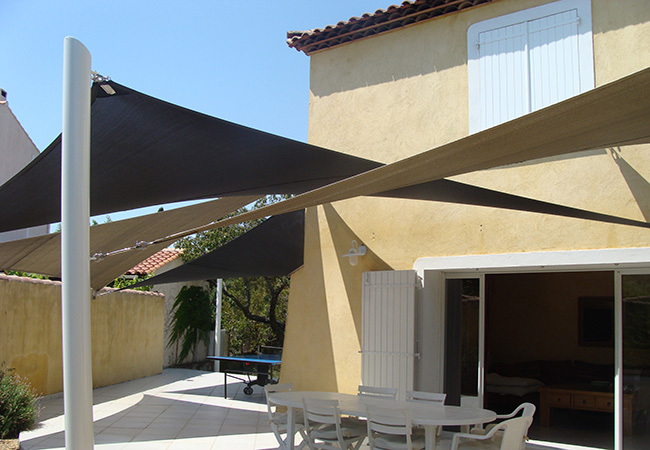 Buy your shade sail online from the best French shade sail professionals shipping worldwide, premium materials and hardware used. 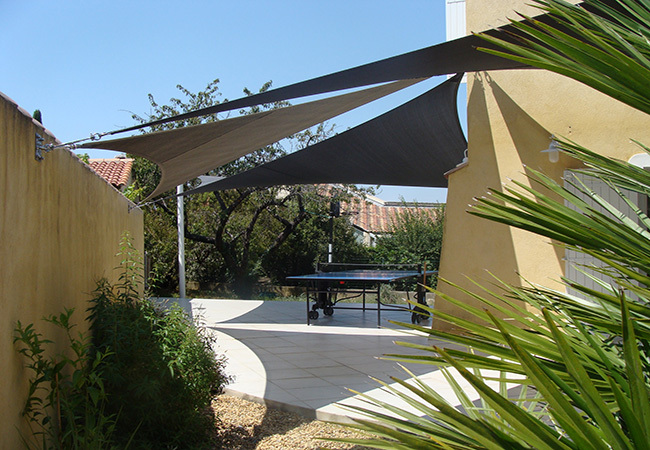 Do you want to shade a terrace, a surrounding of a pool, a driveway, to protect a car or simply to highlight the architecture of your home ? 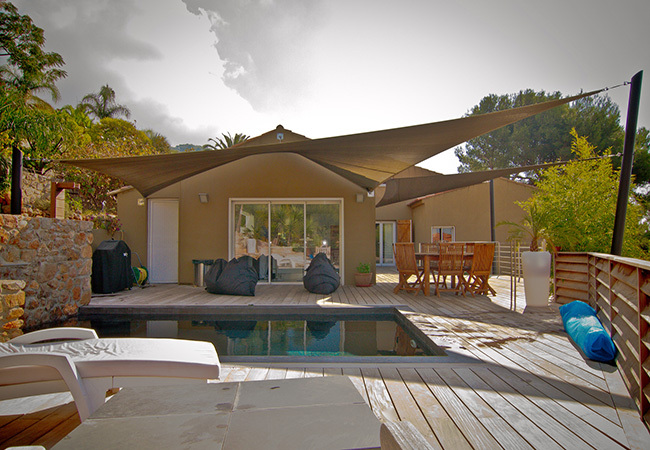 Using our configuration tool to simply calculate an estimate for the sail of your dream. 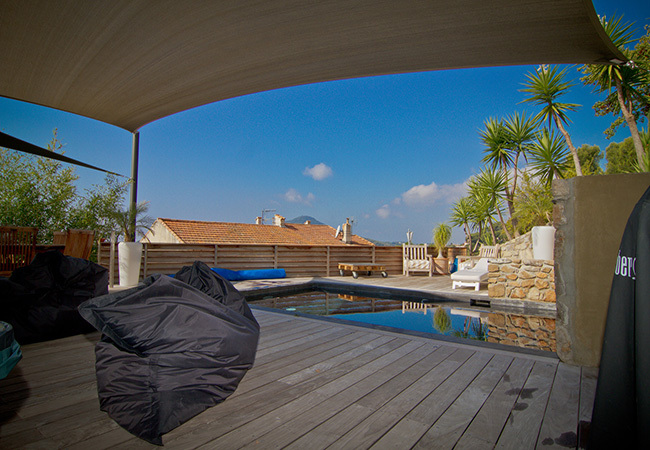 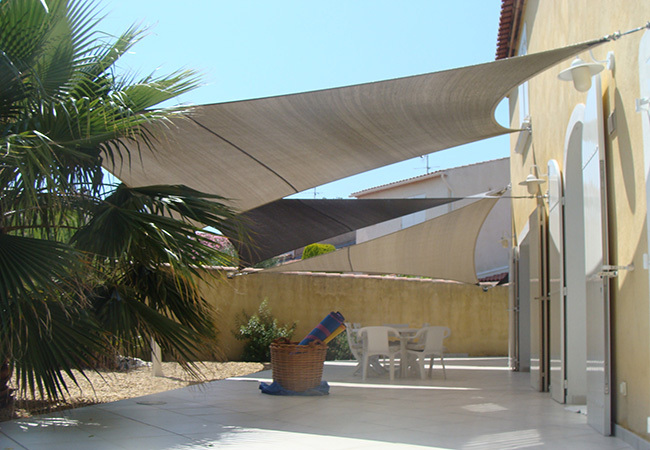 Rectangle, triangle, trapeze…, choose the shape of your desires to design your terrace and living space.â€¨ Provide us with the dimensions you want and Voiledusud would creates your customized sails with technical textiles which caught your attention. 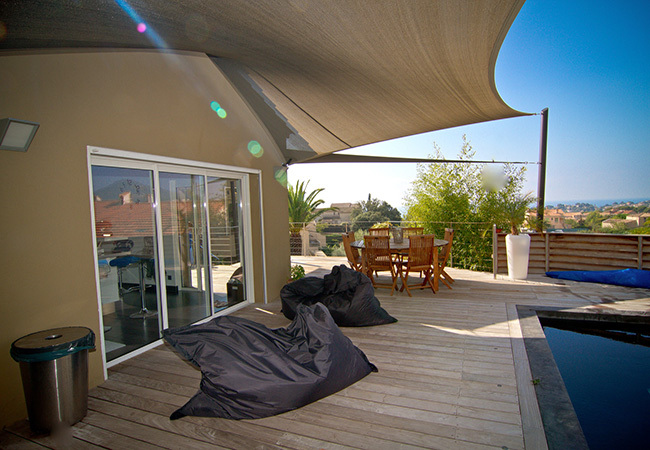 If your project requires a comprehensive study at your home or a custom design made by one of our agents, please entrust us with your installation in full. 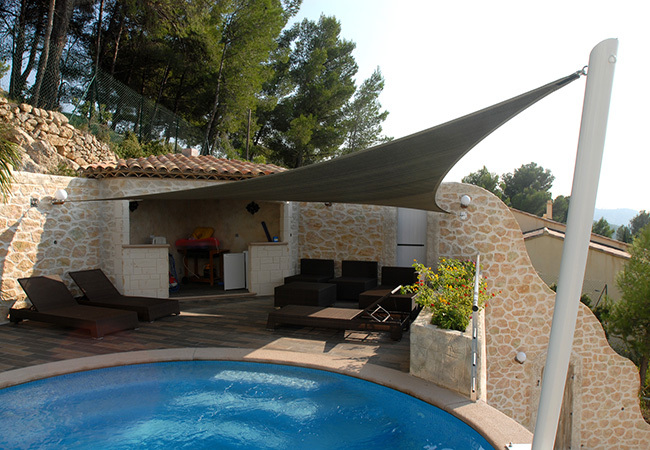 An expert agent would advise you and would design with your assistance your sail and installation. 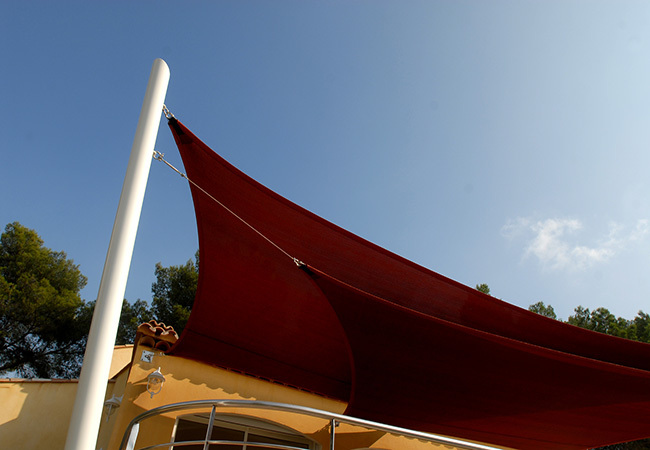 He then would manage all the stages of your project: laying the fixing points, ensuring the measuring process and the installation of your sail. 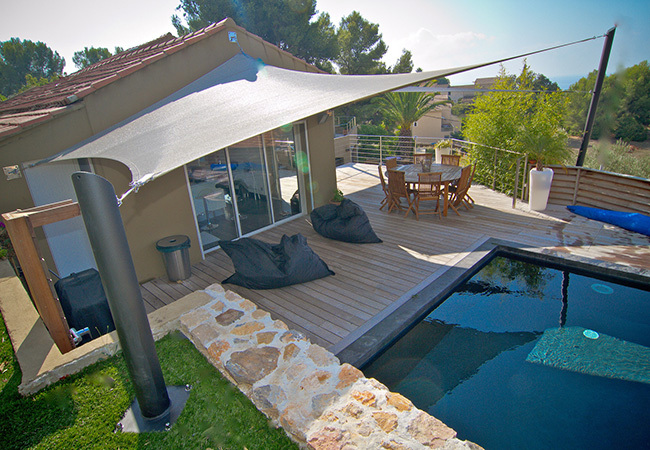 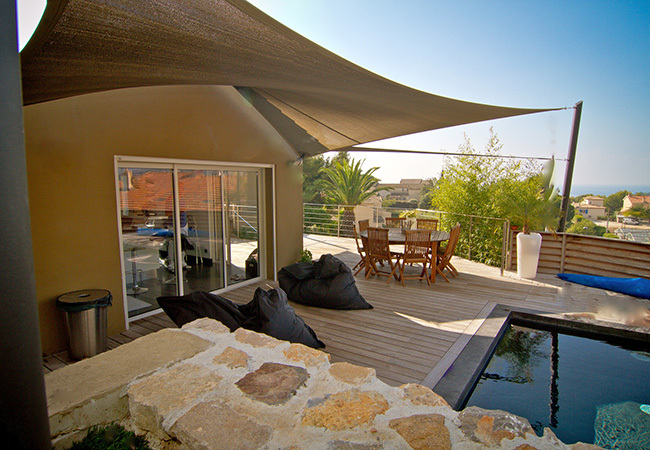 Our shade sails transform a simple exterior to a dynamic and attractive place. 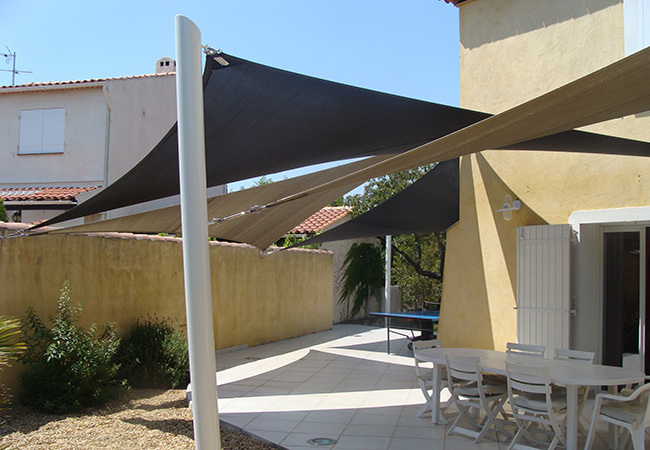 Remarkably simple but elegant, they are used in both commercial and residential settings. 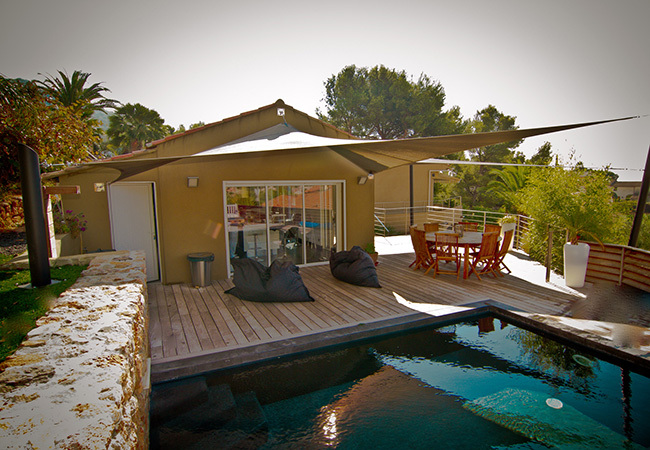 They value various architectural approaches. 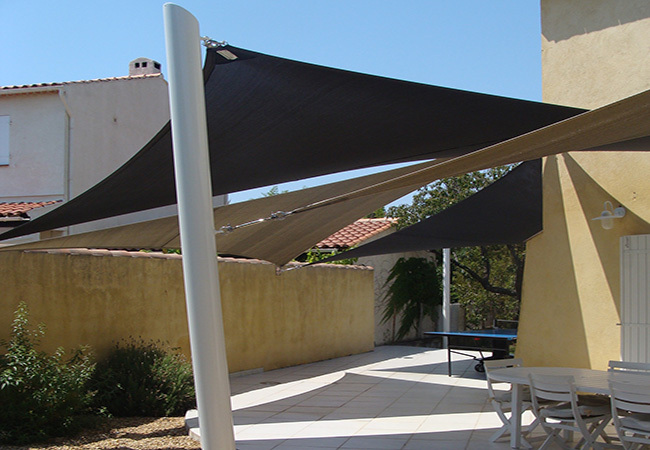 Shade sails are not only attractive, but they also effectively protect against the sun without providing feeling of confinement. 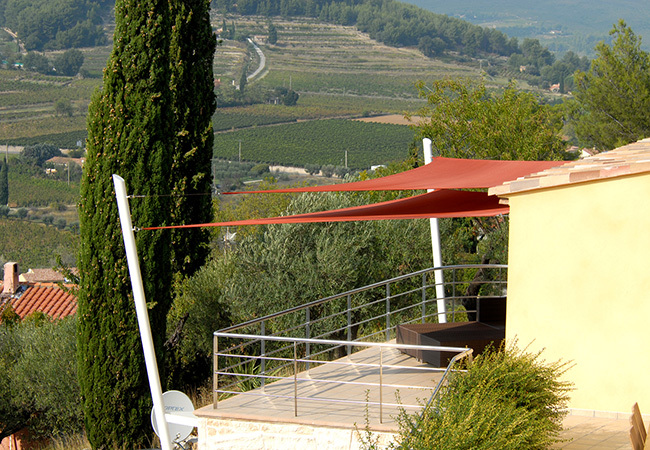 They are an excellent alternative to blinds, parasols and pergolas. 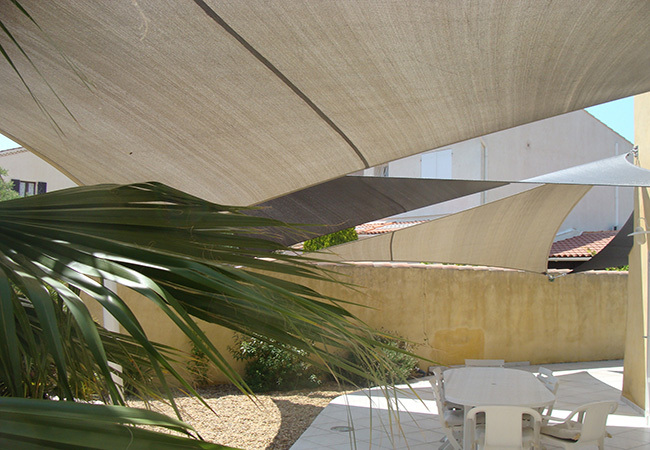 This is a short list of the many advantages of our shade sails: they protect up to 99% from harmful UV rays and create a pleasant shaded environment. 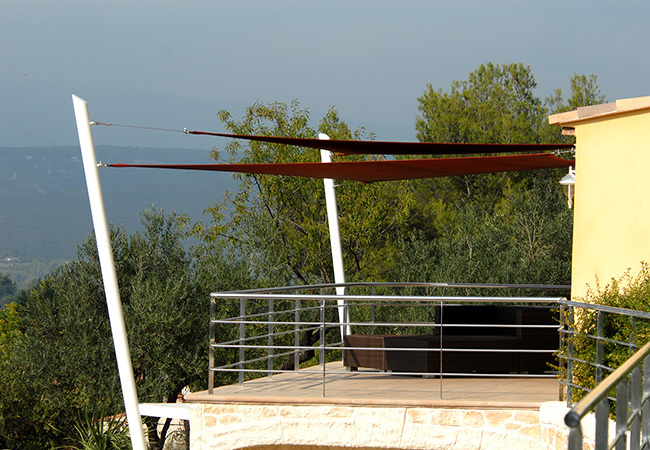 The strength of their installation enables them to resist the most violent winds. 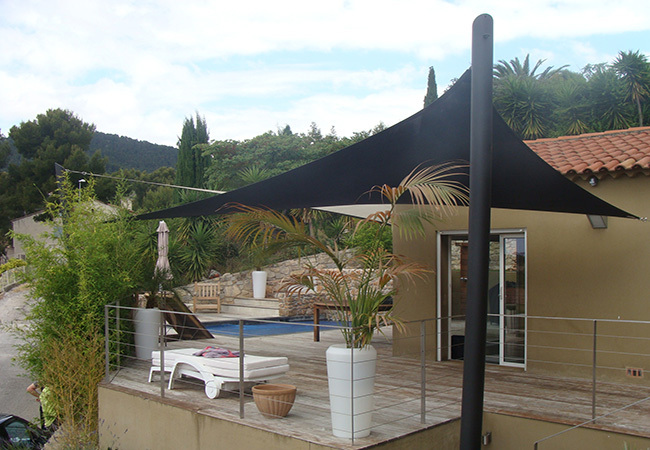 They protect against sunburn and skin cancer. 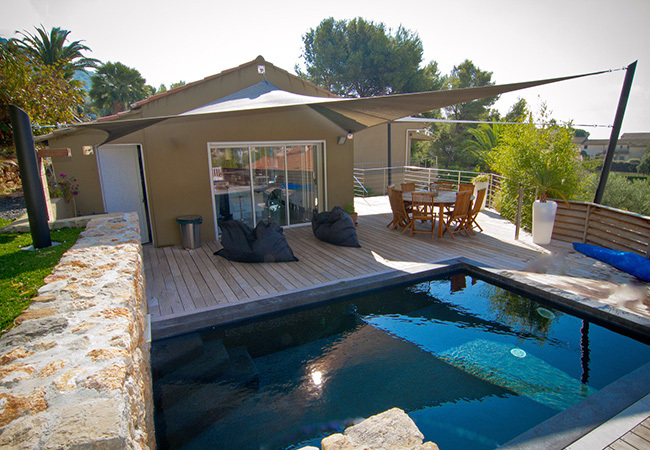 Economical and attractive, they are not affected with dry rot or rust. 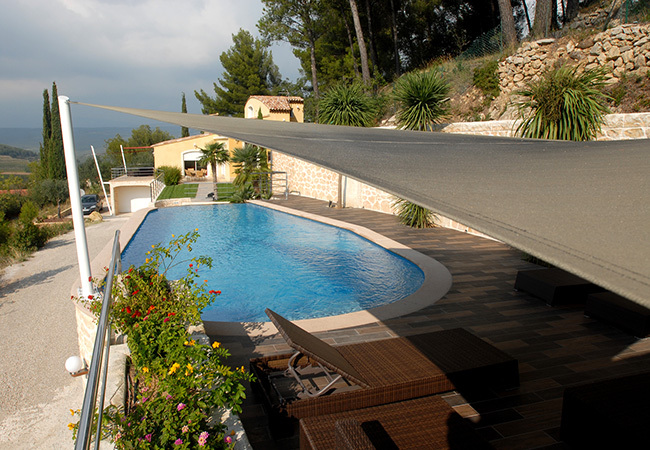 They allow a better use of patios, terraces, swimming pools, etc. 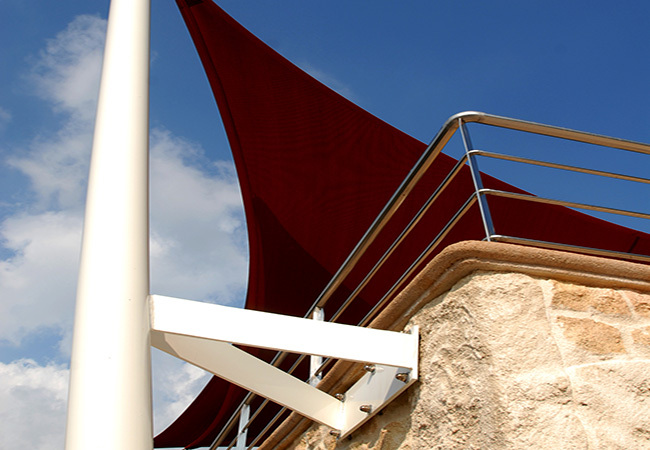 They protect items in your home such as furniture, boats, cars, playground equipment. 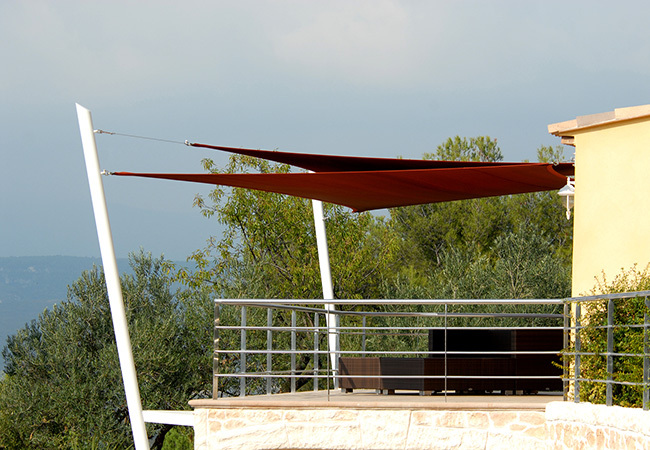 Available in a variety of colors and with almost no need for maintenance, they combine elegance and beauty to your surroundings. 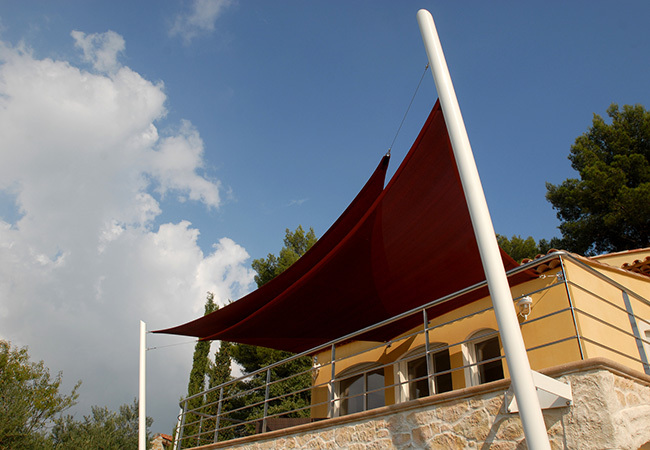 Designed according to your desires, it is easy to find exactly what you need in a wide range of shade sails which suit your tastes and purposes of the installation. 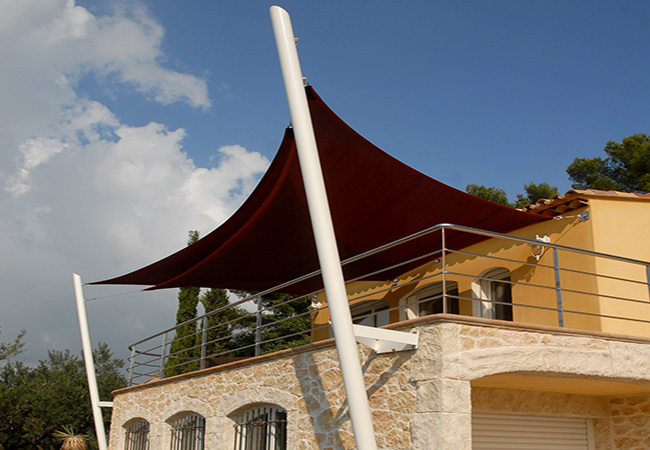 To help you find the best shade sail, we offer a selection of different designs. 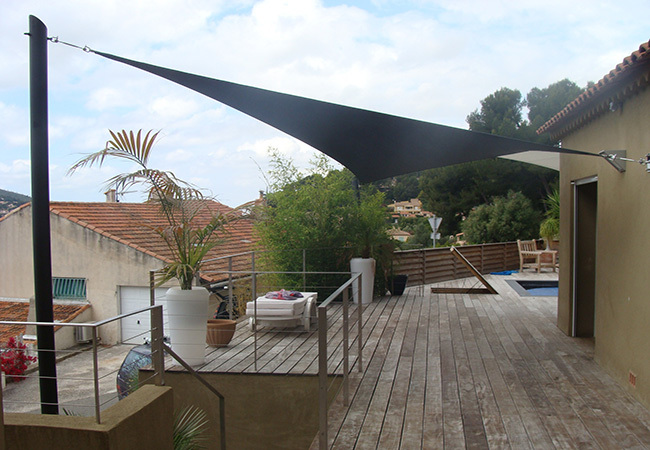 Whether big or small, your requirements will be satisfied. 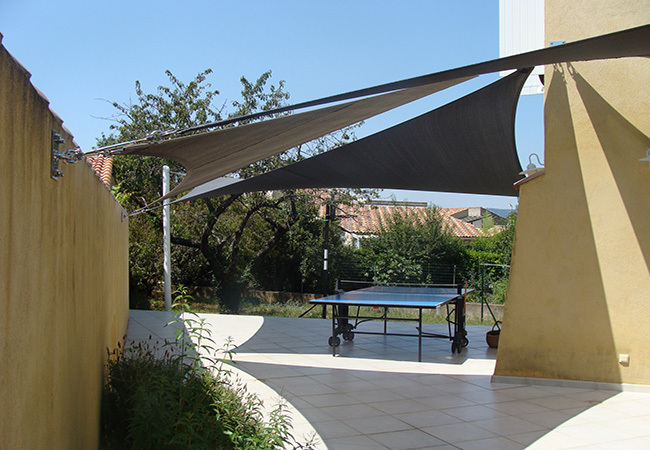 Whether you want to cover the whole area or just a part of it, our shade sails are custom made in all sizes so you're sure you will find exactly what are you looking for. 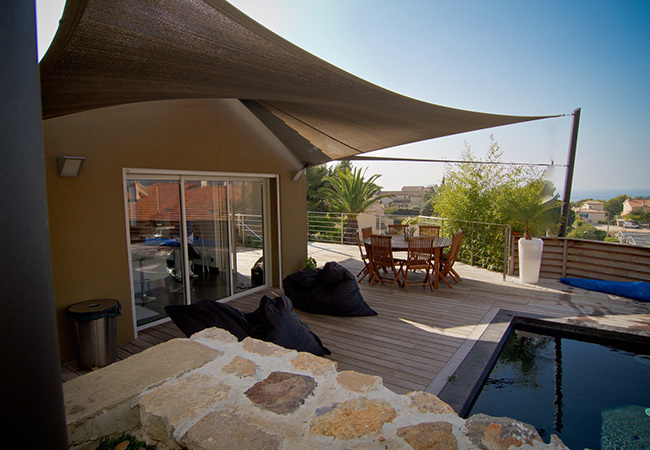 Different forms, from square to triangle, are available to meet all needs so that you can cover your space according to your desiderata.